Bacterial infections term is used for diseases, caused by microorganisms – bacteria. Various microorganisms, like bacteria, can be both harmful and useful for the human body. Bacterial infections arise if a microbial population greatly increases, poisoning the body with toxins. There is a huge and diversified list of bacterial infections. These microorganisms are among the most numerous and ancient living creatures in the world. Bacteria are everywhere: in the air, water, soil, etc. Pathogenic bacteria provoke infections. In fact, the pathogenic bacteria can become the bacteria from the natural microflora of a people. This situation is typical for a weak immune system of the body. Generally, bacterial infections arise when harmful microorganisms get from the environment into the human body. The range of access routes for bacteria includes nose, mouth, dirty food and water, skin lesions, a contact with sick person and dirty surfaces. Bacteria can penetrate to different systems and organs of the human body. The vital activity of bacteria causes toxins in the human body, which is the main cause of bacterial infections. Microorganisms produce toxins affecting the human body and causing various symptoms of diseases. There is a long list of bacterial infections. The symptoms of a disease depend on the general state of a patient and on the location of bacteria multiplication. The common symptoms of bacterial infections are – high body temperature, headache and muscle pain, cough, chills, slackness, loss of appetite, dyspnea and rapid breathing. Intestinal bacterial infections may cause diarrhea, stomachache, nausea and vomiting. Such type of bacterial infections is often seen in children and adults, who consume dirty food or water. If not to cure these infections, they can cause dehydration, weak immune system and other diseases. Some types of bacteria live and multiply not inside, but outside the body. In this case, the symptoms of a disease can be seen with the naked eye. The symptoms of bacterial infections are usually observed on the face, eyes, nails and various areas of the skin. Depending on the type and severity of symptoms, doctor chooses the proper treatment of bacterial infections. The main principles of a safe treatment of bacterial infections are – elimination of disease causes (bacteria), removal of toxins from the body and a symptomatic treatment. To destroy bacteria, antibiotics are mostly used. The mechanism of action of antibiotics is aimed at destruction, inhibition of growth or multiplication of bacteria. Antibacterial drugs can fight against the most severe bacterial infections effectively and quickly. For some people, antibiotics are contraindicated. For instance, pregnant women suffering from bacterial infections must never use antibiotics. Prophylaxis is one of the best ways to prevent diseases, including those that are caused by bacteria. Common methods of prevention methods of bacterial infections involve vaccination, compliance with sanitary and hygienic norms. Bacterial vaccines (immunization) contain dead or weak microorganisms that activate the human immune system. The antibodies are only effective against certain type of bacteria and can prevent the bacterial infections in the future. Children younger than 2 months are at great risk of bacterial infections. Actually, some severe diseases can be prevented using the routine immunization in childhood. If a certain type of bacterial infection is diagnosed in a great number of people, the vaccination is carried out at any age. 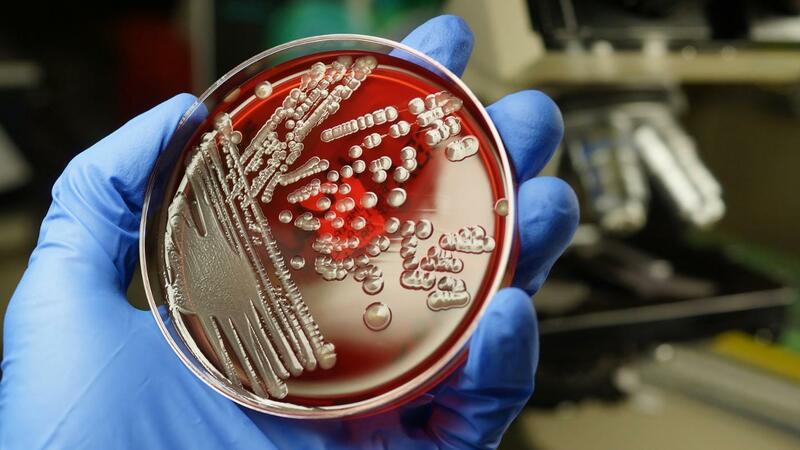 The consequences of bacterial infections can be serious; therefore, it is very important to diagnose and start the treatment of a disease as soon as possible. Despite the fact that bacteria have a unique ability to adapt, the treatment of diseases it caused was and still is very effective.